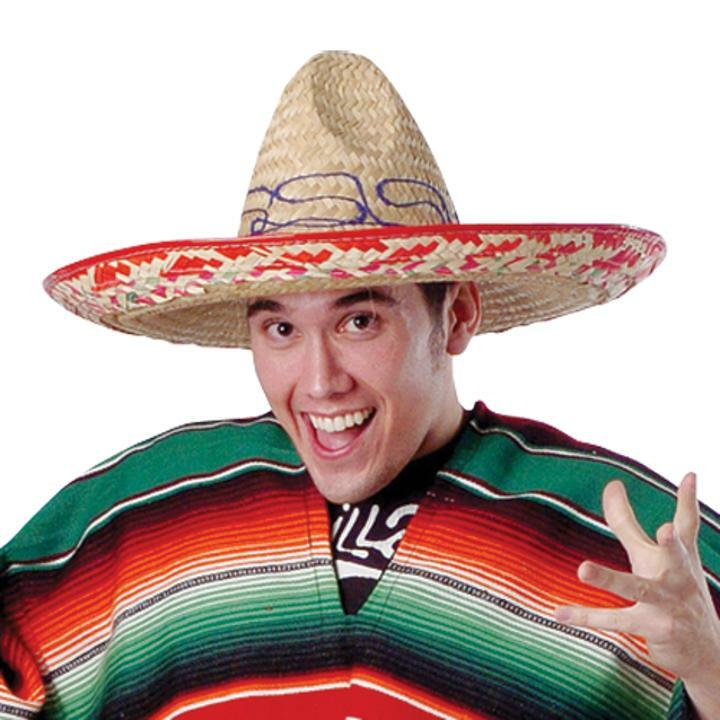 Be ready for any fiesta with this Authentic Mexican Sombrero. You can use this sombrero as part of a costume or to protect you from the sun. Made of straw. Adult size. 18" W. x 7" T. Celebrate on the border style with a Fiesta party. We have the favors and costume ccessories you need to make your Cinco de Mayo or other Fiesta celebration a hit! L: 18.4 in. W: 18.85 in. H: 7.45 in.